David Walliams is known to be the naughtiest judge on the Britain’s Got Talent panel, often winding Simon Cowell up no end. However, the comedian may have taken things a tad too far this time, with a joke which enraged Simon to a degree viewers had never witnessed before. Now, long-time watchers are well used to Simon’s withering glares and dream-crushing insults. Out of the three, who would be Simon’s deputy? Now there’s a question. Both Alesha Dixon and Amanda Holden both wrote ‘me’ on their white boards. Amanda. (Because they did it). Stephen wisely chose not to read the second part of the answer out loud, but the other judges’ reactions spoke a thousand words. Alesha gaped in shock at David’s audacity tutting ‘you can’t write that!’ before trying to scrub the rude words away. Amanda on the other hand appeared highly amused, and reminded David how her husband – record producer Chris Hughes – was upstairs. I think these guys could have their own reality TV spin off show by just leaving some cameras rolling behind the scenes! I’d watch it! Though Amanda and Alesha, would have to be in it too, they have the best laughs I’ve ever heard! However, no reaction could have matched that of the head judge. Thunder and lightning appeared to cross Simon’s face as he regarded his cheeky colleague. David, you’ve actually crossed the line! You really are a smutty little man, aren’t you? Get out! @SimonCowell I can see why you have @davidwalliams on the show. A pain in the ads but Class! ? Viewers could not get over the drama which had unfolded over the judges’ table, taking to Twitter to spread the goss. I thought it was hilarious but Simon definitely didn’t [I’d] be surprised if he’s on tomorrow night. 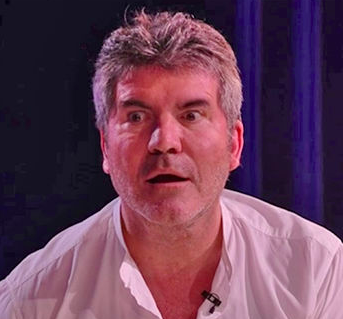 Simon Cowell reaction to David Walliams was slightly dramatic. He’s furious […] gotta love Walliams. #BGMT @davidwalliams definitely pushing the statement @SimonCowell said last night about him being "unsackable" I thought it was hilarious but Simon definitely didn't ? be surprised if he's on tomorrow night ?? However, some viewers felt David had pushed things a little too far with his notoriously stern boss. Tonight’s show was full of so many wrong things and arguments! There’s a line between banter and making someone angry. I love David but he did the wrong thing tonight. I hope it all works out. David Walliams you are so naughty. 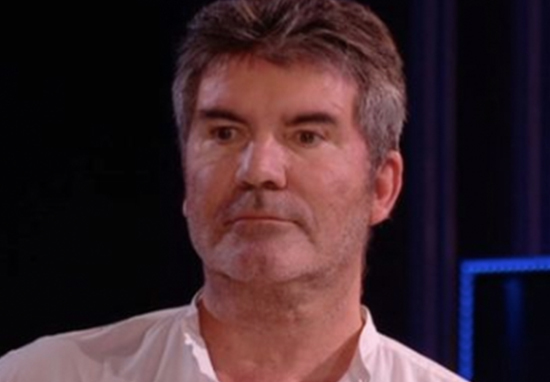 I’m surprised Simon Cowell isn’t sending you for therapy after you crossing the line last night. Bad man lol. There’s actually nothing we wouldn’t say to each other. We’re like brothers, we sort of love each other and hate each other in equal measure.